SanctionsAlert.com designs and implements vital global export control and sanctions compliance training. 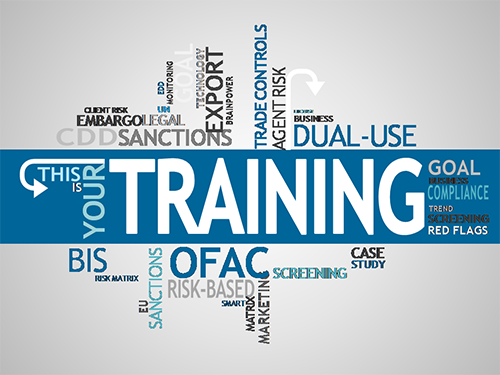 Custom training programs, developed and conducted by a SanctionsAlert.com team of compliance experts, are designed to specifically address your company’s unique needs—from general sanctions compliance and OFAC training to particular economic sanctions risks and beyond. This highly-flexible training is built to your requirements for compliance education. SanctionsAlert.com experts work with your compliance team to identify its educational goals, then create a tailored curriculum that will help you achieve them. We use a suite of different delivery methods including live, virtual classroom, on-demand, self-paced and face-to-face training. We have a full-blown and easy to use Learning Management system that tracks the training taken by learner, team, or across departments.